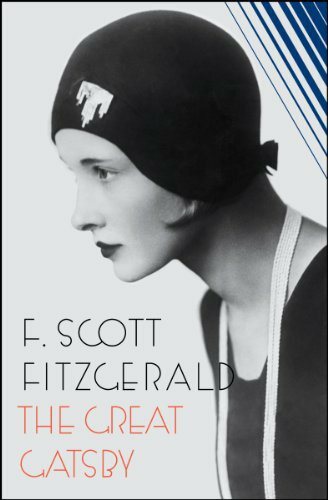 I’ve always known that The Great Gatsby by F. Scott Fitzgerald is a must-read but the book sounded intimidating to me. As I normally stay away from super highbrow books that I feel I would not enjoy, I missed out on this one until I actually read it. I tried the audio book first but the snotty upper class narrator turned me off so much, I put it on the back burner. After finding a copy on sale, I was struck by how short the book actually was. I was thinking it would be like a Count of Monte Cristo epic story with a hefty volume to match. It was probably the “Great” in the title that lead to that impression. It’s actually not an epic tale at all but an all too intimate glimpse of the 1920’s flapper era with it’s superficial glitz and glamour. Nick Carraway, the narrator, tells the tale of his mysterious millionaire neighbor (no billionaire yet as per Austin Powers!) who throws parties almost every night and his affair with his distant cousin, Daisy Buchanan. The story is very soap opera really but I suspect that The Great Gatsby influenced a lot of writers of melodramatic TV soaps of today. This was a very easy and light read (If you’re reading for pleasure and not for school). Also a page-turner especially when Gatsby finally meets Daisy again after five years of separation. I can’t wait to see the movie by Baz Luhrmann and how Carey Mulligan plays her role. In my imagination, I see Michelle Williams as a better cast as I’ve seen her in My Weekend with Marilyn. It seems to me, Daisy and Marilyn would have a lot to talk about. On a more serious note, was Nick Carraway gay or bisexual? I’m lead to believe Nick is a little bi-curious not because he’s in love with Gatsby. He clearly admires and respects the man but I don’t think it goes beyond platonic. The bedroom scene with Mr. McKee wearing underwear lying on the bed and Nick standing beside the bed and in the elevator where Mr. McKee was caught fondling the lever, I think, is conclusive enough. And that’s just fine and dandy.